These infamous words were spoken by Chief Joseph of the Nez Perce. 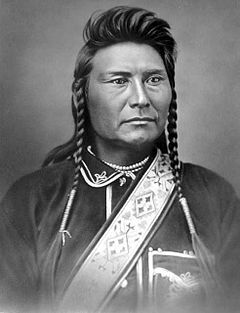 Chief Joseph, born in 1840, died in 1904, is best remembered for his resistance to the US Army’s attempts to forcibly remove his tribe from their Oregon home to a reservation in Idaho. While initially friendly to the Europeans, an 1863 gold rush caused much coveting of the Native land. My son, my body is returning to my mother earth, and my spirit is going very soon to see the Great Spirit Chief. When I am gone, think of your country. You are the chief of these people. They look to you to guide them. Always remember that your father never sold his country. You must stop your ears whenever you are asked to sign a treaty selling your home. A few years more and white men will be all around you. They have their eyes on this land. My son, never forget my dying words. This country holds your father’s body. Never sell the bones of your father and your mother. Joseph did indeed defend his land, but he always advocated peace over conflict. In 1877, when the government reversed an earlier decision, the Nez Perce were forced into what was known as the Nez Perce War. The Nez Perce didn’t moved to Idaho, but they hardly won the war. Many were killed. 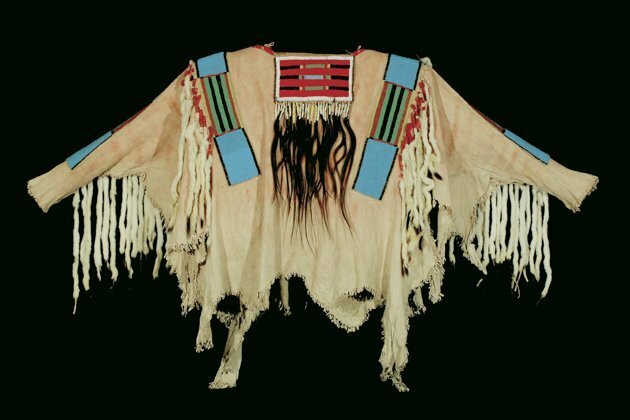 Many more froze or starved, and even though the surrender negotiations included safe passage home for the Nez Perce, instead the survivors were shipped to Fort Leavenworth, Kansas as prisoners in unheated rail cars, held for nearly a year, and then shipped to Oklahoma for another 7 years. Most who didn’t die during the war, or as a result of the war, died of epidemic diseases while confined. 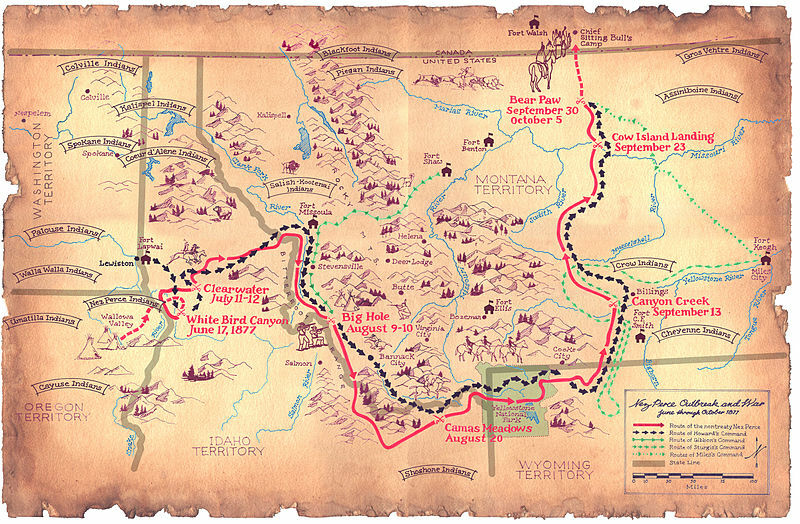 The map below shows the path of the Nez Perce people. It would have been during this time that Chief Joseph would have worn the war shirt. Chief Joseph survived the ordeal and lobbied endlessly for his people. Some Nez Perce did settle on a reservation in Idaho, but Chief Joseph and his group were forced to live on the Colville Indian Reservation in Washington State, far from his father’s bones in the Wallowa Valley in Oregon. This entry was posted in Nez Perce. Bookmark the permalink.